[Free Books] FALLENS｜MANGA.CLUB｜Read Free Official Manga Online! Enjoying reading this manga. the art is well done, and the story is compelling. It's not a new scenario -- an upper class (angles) turns a middle class (humans) against a lower class (the fallen) in a bid to maintain their superiority. However, the way the story is presented seems fresh and entertaining. I hope there will be future chapters of this series available to read. I really like the plot and the art style. I wish each chapter was longer, so that there wasn't so many individual ones. 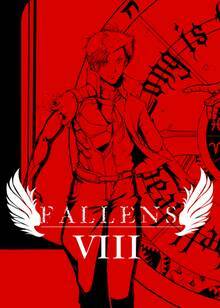 I'm interested to read more about the Fallens and why they are so hated. I recommend to anyone who likes fantasy. Good story so far. I hope it updates soon. Pretty similar to another manga on this site called Sinner but different enough to still be compelling. Nice but nothing really new. Need to read more of the story.